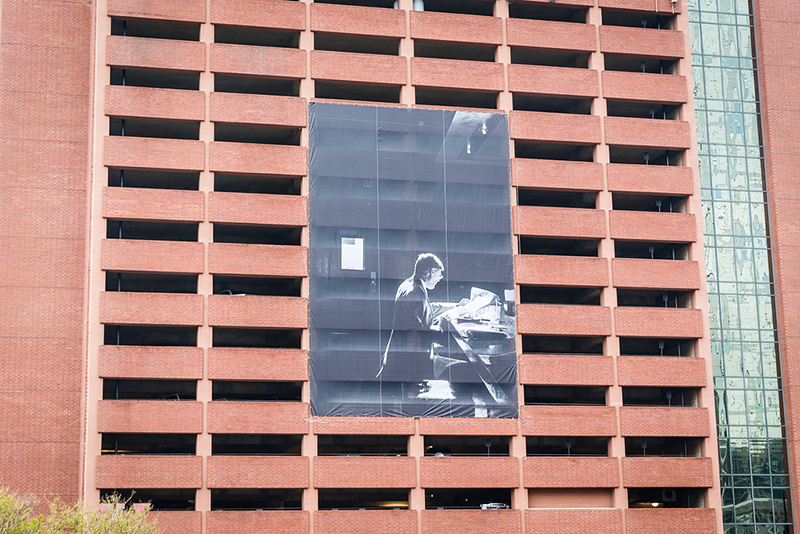 Throughout April and May, Richard Andrew Sharum has embarked on what has been described as “perhaps the most ambitious photography project ever to take place in Dallas.” A larger scale version of a project from last year, Observe Dallas 2015 shows photos of everyday people, observed through Sharum’s eyes and lens, in the hopes that those who see the photos will stop, think and observe the beauty in their daily lives. 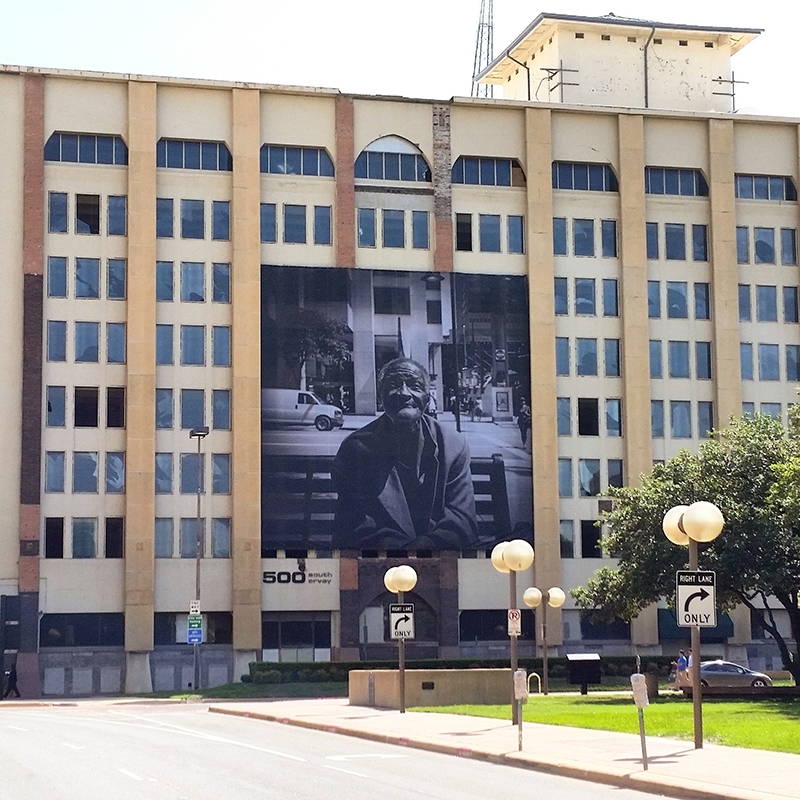 The prints are huge, prominently displayed and impossible to miss, with photos draped on buildings throughout downtown Dallas. The scale and design of the exhibit is purposeful, and the hash tag #ObserveDallas2015 was coined for social media with the intent to create a massive community of observation. Woman at Crosswalk, 2014. Photo provided by Richard Andrew Sharum. 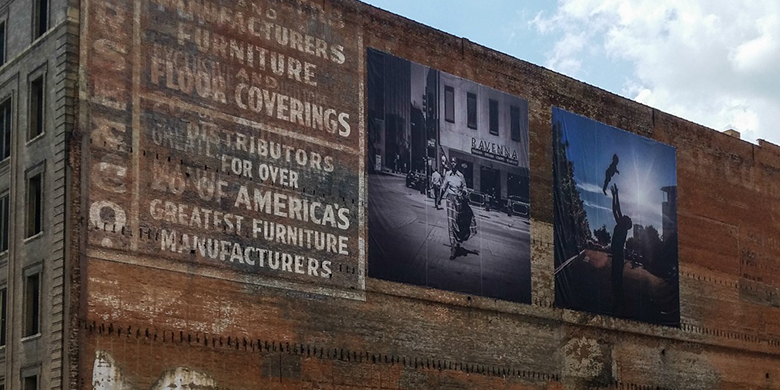 What made you decide to turn Dallas into an art gallery? “The reason I decided to do the exhibit was sort of a multi-faceted kind of approach. I was doing it mainly for the citizens of Dallas, so they’d have a chance to view public art. Unfortunately, there’s not a lot of public art in Dallas, and it’s kind of a mystery as to why,” said Sharum. Another reason was accessibility – both to viewers and to artists. Sharum expressed that, for him and others, it was incredibly difficult to get recognition for their work from Dallas art galleries. As a result, many move to other cities to launch their careers. In Sharum’s case, he found it easier to establish himself outside the U.S. entirely before local galleries took notice. Print 3 at 500 S Ervay. Photo by Richard Andrew Sharum. “I took a photography course on black and white film at North Lake College in 2005, with Barry Snidow and Chuck Bryant, who are both retired now. I was just a regular student, but I got really into it and became obsessed with it; that one class helped begin my career. Sharum would spend five years working to become successful after that, doing everything from retail to hospitality to make ends meet. “I started [photography] full time in 2010, and that’s when I became really successful at it. But it took five years of paying the bills and working on my style and voice. Print 2 at 800 Main. Photo by Thomas Garza Photography. Image provided by Richard Andrew Sharum. Weird question, but: do you have a particular piece from this exhibit you feel holds more significance to you than the others? “I like them all, or I wouldn’t have selected them. But out of all of them, I would say probably the eighth and final print. It’s this huge vertical image, of 500,000 people on the street holding a giant American flag.” Sharum is referring to ‘Immigrant Reform Protest’ – an image capturing the largest nationwide day of protest in 2006 and the largest in Dallas history. “I feel like the whole reason I did this project is to serve as a form of protest, against the city government not supporting art and local galleries not supporting local artists. I also feel like it’s a way to protest against the common citizen to be more empathetic to other people. For more information about Richard Andrew Sharum and his work, visit his website at RichardAndrewSharum.com. Thinking about enrolling? Check out the class schedule to explore course descriptions and figure out what you might be interested in. Learn more about the admissions and registration process. Great life story, I wish you well.